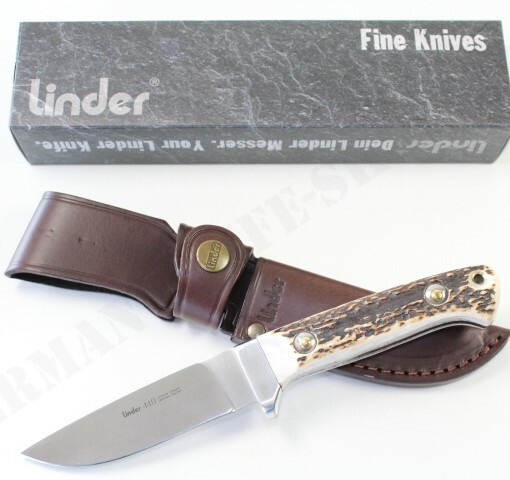 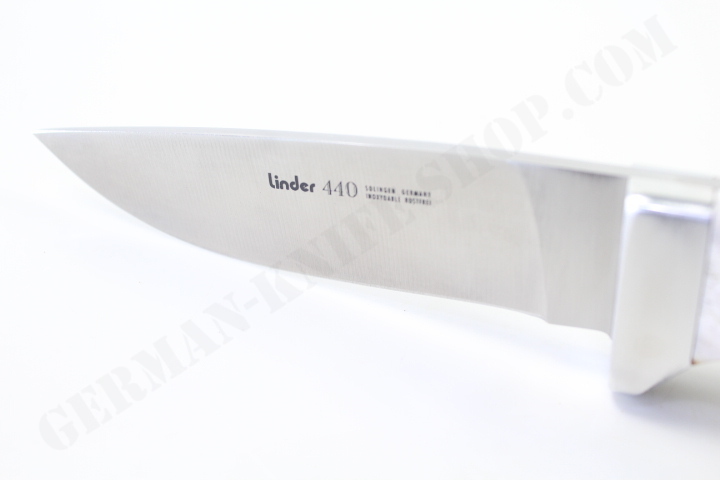 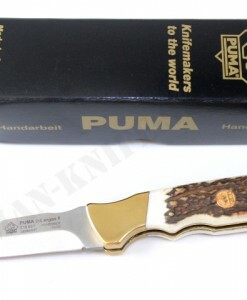 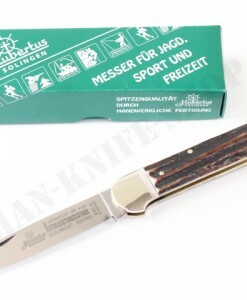 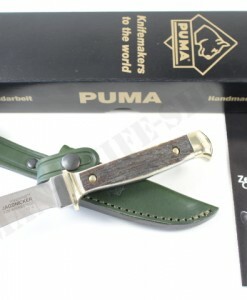 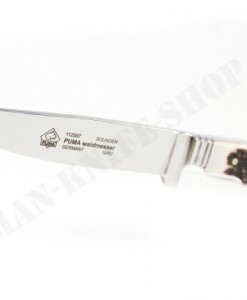 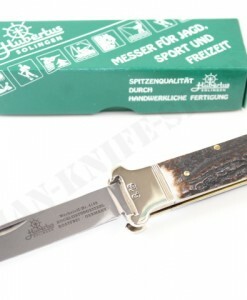 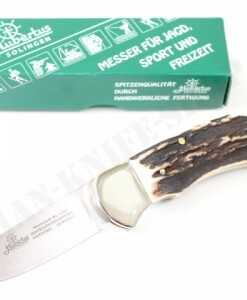 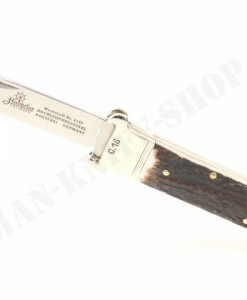 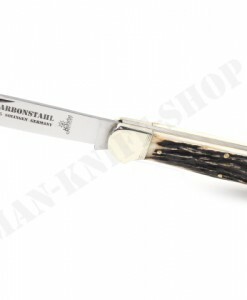 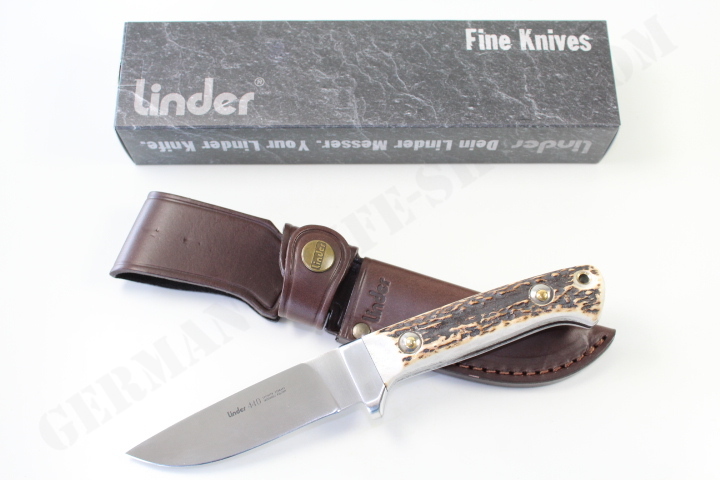 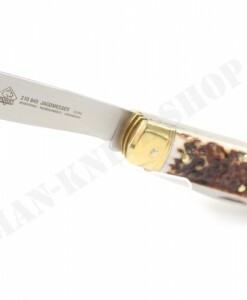 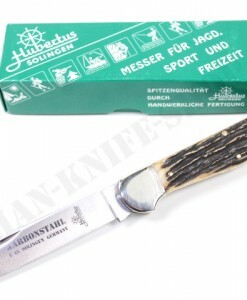 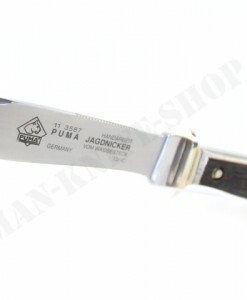 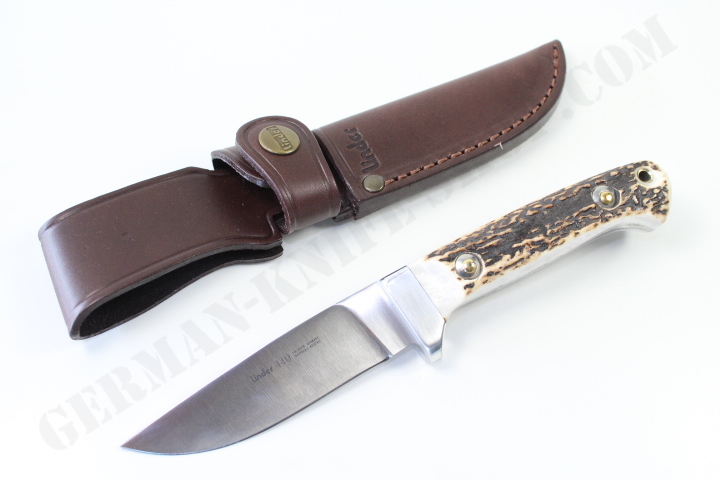 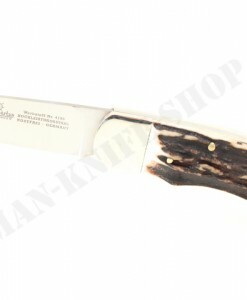 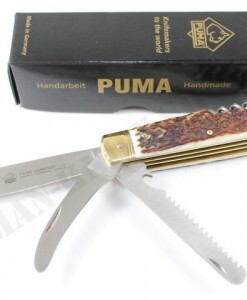 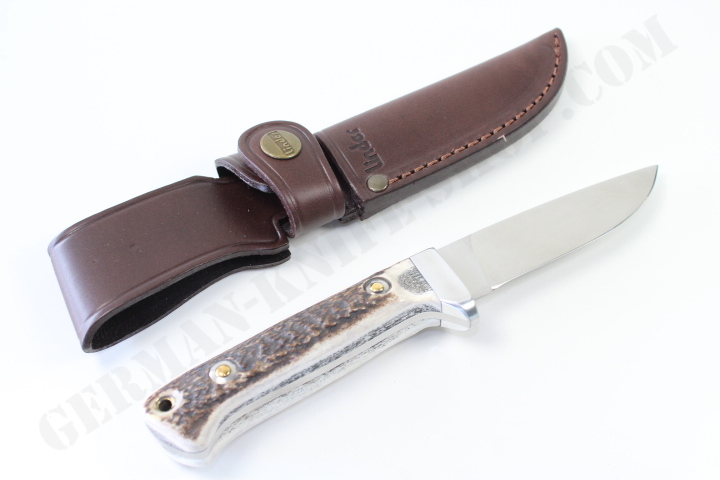 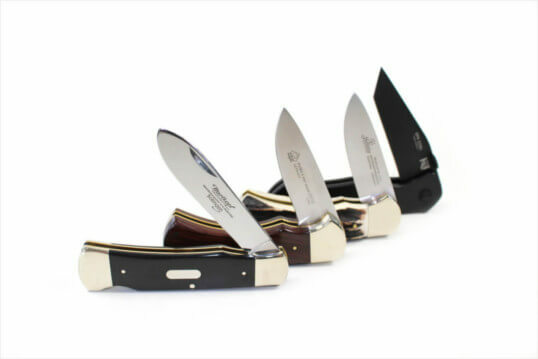 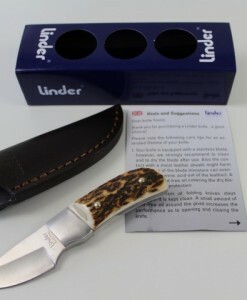 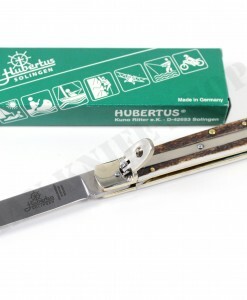 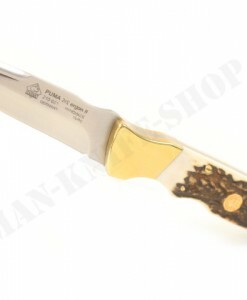 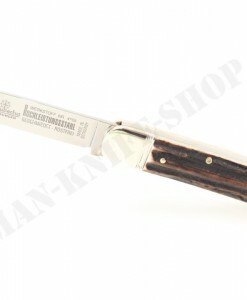 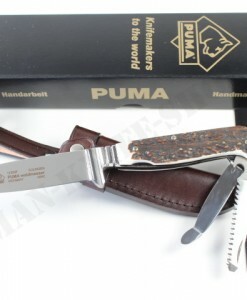 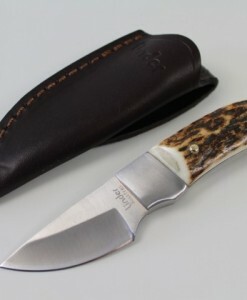 Superb German hunting knife with 440A stainless steel blade and genuine stag handle. 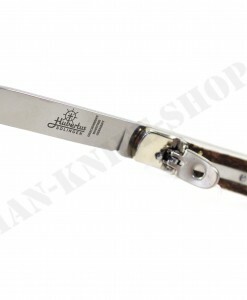 Aluminum bolsters. 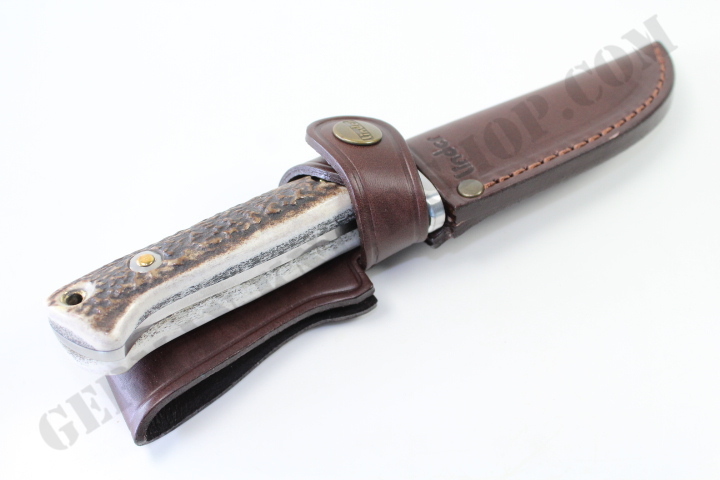 Top grain leather sheath.